Spacious one bedroom in Historic Charles Building steps from the Arts District, Innovation Quarter and the center of downtown. 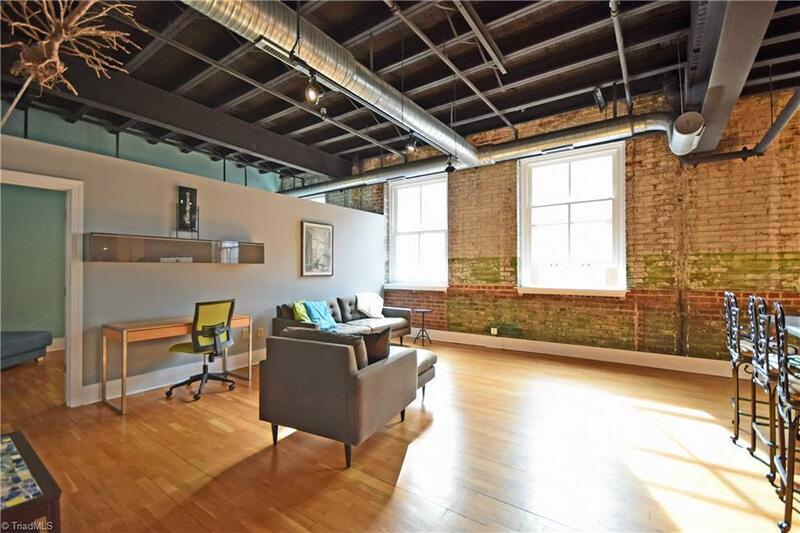 High ceilings, two closets, exposed brick with original mural and hardwood floors. Open floor plan with large windows for natural light. New high-end dishwasher, washer and dryer. Charles Building boasts one of downtownâs best rooftop patios. Secure on site garage parking. Fantastic investment in heart of thriving downtown.